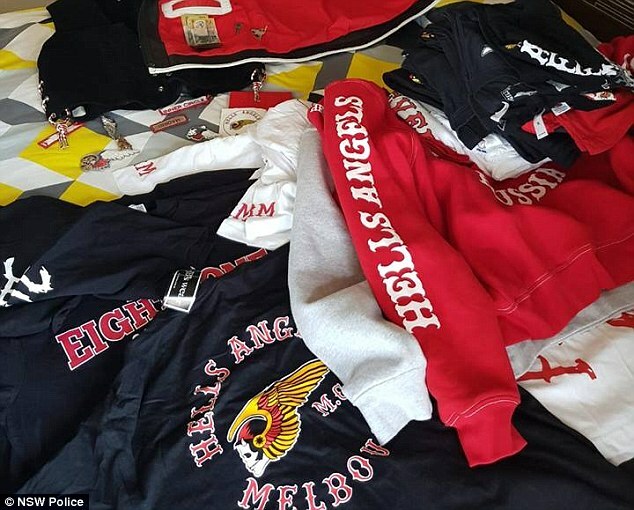 Five Hells Angels bikies have been arrested after police found drugs and weapons in a series of raids cracking down on gang activity. Officers seized a handgun, various prohibited weapons, drugs and items used in the cultivation of cannabis, as part of the four-day operation that ended on Thursday in New South Wales. 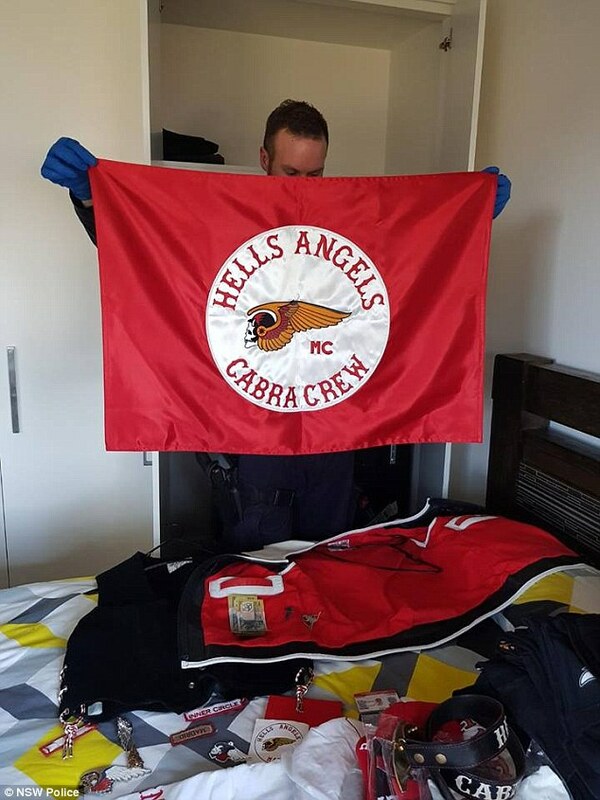 Hells Angels Outlaw Motor Cycle Gang colours and paraphernalia were also seized. The five members were charged with a total of nine offences, including assault, drug and firearms charges and breach of bail. The anti-gang police enforcement squad, called Strike Force Raptor, was established in 2009. 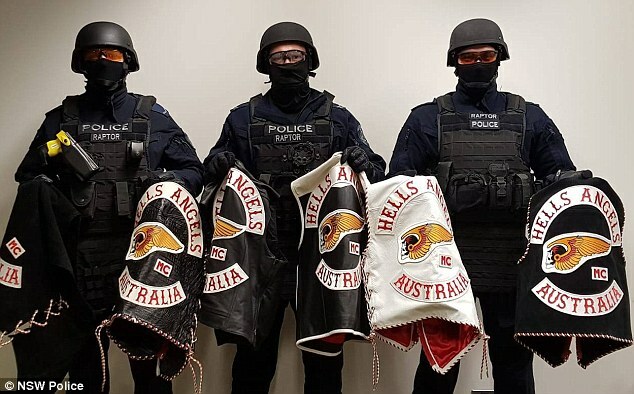 The strike force is an elite, militarised police unit understood to be made up of 55 top cops with the primary goal of dismantling violent bikie gangs. Detective Acting Superintendent Nick Read said the coordinated multi-agency operations targeting criminal groups are an important part of combatting unexplained wealth. The gang crackdown involved officers from Police Area Commands, Police Districts, and Region Enforcement Squads from across the state, and the Public Order and Riot Squad. 'By executing coordinated cross-border and cross-jurisdictional operations, we enhance our capabilities to disrupt illicit businesses,' he said. Operation Morpheus is a National Anti-Gangs Squad initiative aimed at detecting, deterring, and disrupting illicit activity of OMCGs, their members, and associates.